For many years people have asked if SBBIC had developed a Khmer spelling checker for Microsoft Word, and today we are pleased to announce that we have! 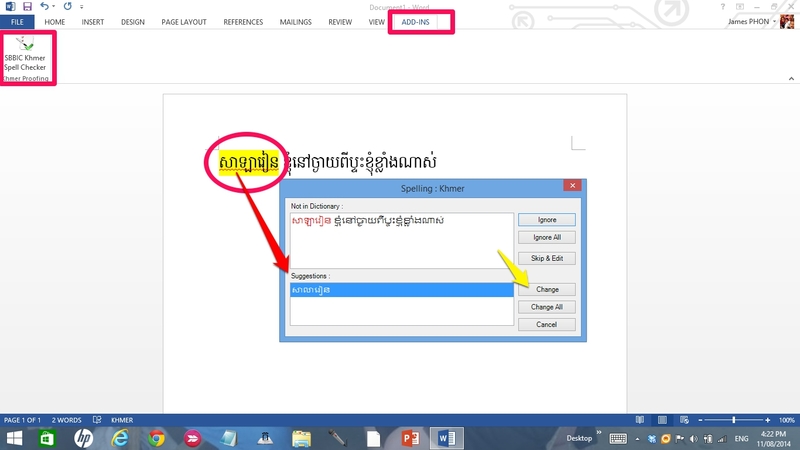 Download our free Khmer Spelling Checker for Microsoft Word 2010-2013 today! Does this work with MS Office 2007? 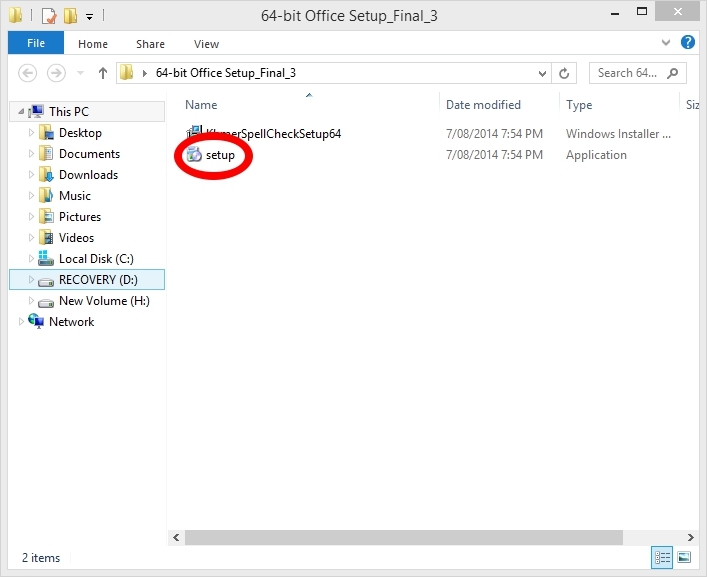 It was made to work in MS Office 2010 and above – we have not tested it in 2007 and most likely it will not work. I believe MS Office 2007 lacks the ability to link with Hunspell which is the spelling dictionary we use for Khmer. I would recommend getting Office 2010. The initiative of this work is great. However, you haven’t done word segmentation before actually check for spelling. Though it’s advisable to do zero space in each word, how many user did this? Yes, SBBIC has actively worked on creating a solution to automatically break Khmer words (with ICU http://site.icu-project.org/ ), but at present it is only about 80% accurate, and when there are misspelled words, it is even less accurate. Currently the only way to ensure words are spelled correctly is to manually place zero-width spaces between words. It is possible automatic word-breaking for Khmer will be available in the future, but so far no one has successfully been able to train a computer to do so with 100% accuracy. So while many users do not put zero-width spaces between words, if a user wants accuracy, they will need to do so. The result of 80% may be depend upon the corpus you current have. By improving the list of corpus would eventually help you to increase the accuracy, though some words are difficult such as name of place, person, etc. I am a researcher on Khmer localization and I advised RUPP student to do segmentation last year. The result outperforms PAN Line Breaking. If you are really interested, I can share. Yes, it would be great to collaborate together. Perhaps setting up a meeting would be best? I am available next week, send me an email at [email protected] and we can set up a time and a place. I’m a big fan of SBBIC site. I’m glad when i see this post. But there is an error happened when i installed this: “…The error code is 2503” and “…The error code is 2502”. Please HELP! If that doesn’t work please tell us what version of Windows you are using as well as what version of Microsoft Office. Thanks! I’ve found it. All I have to do is run it as administrator. Can you give more information on the error you receive? I am using Windows 8 and can use the spelling checker without any issues. Just updated the post with instructions. Let me know if you still have trouble. Thanks! Thanks. It works for my computer.